Dana Point, CA – Once San Diego Lacrosse Club heard about the Shoutout for Soldiers, we knew that we had to be apart of it. The Shoutout for Soldiers is a 24-hour non-stop lacrosse game that benefits the men and women of our US Armed Forces. Teams gather at the event and play in one hour games to raise money for our Veterans. Being part of the Shootout for Soldiers was incredibly important to all of us at SDLC. Giving back to the community is crucial, especially if we can do it by playing the game we love so much. The idea for Shootout for Soldiers started back in 2012 when a group of lacrosse players from Boys’ Latin lacrosse team came up with the idea and got it together with the help of the lacrosse community. The first Shootout for Soldiers event took place on June 14, 2012 in Baltimore, MD where 5,000 people showed up to support this great cause. This event was a HUGE success, bringing in more than $111,000 for United States Veterans. Since it’s inauguration, Shootout for Soldiers has brought in millions of dollars in proceeds or those who serve this great country, and has attracted the attention of some of lacrosse’s Greats. 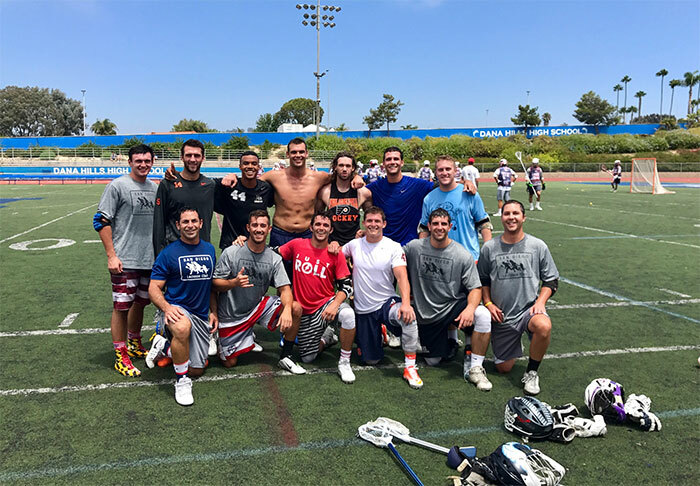 Major League Lacrosse All-Star, and Shootout for Soldiers participant Paul Rabil said, “I’m thrilled to be part of such a great event.” Having MLL guys involved helps get the word out for the cause and brings this to a level that might not be achieved otherwise. In June of 2013 it finally reached the MLL with full-force and many of the players knew it was time to join. For the first time, Shootout for Soldiers had full MLL teams going head-to-head. This brought a whole new element to the event and because of it, awareness went through the roof. Once the rest of the United States saw what was happening, other major areas put together Shootout for Soldiers events including Atlanta, Boston, Baltimore, California, Colorado, Hudson Valley, Long Island, Philadelphia, Ohio, Texas and Utah. It’s been incredible to see Shootout for Soldiers continue to grow over the years and help those in need. San Diego Lacrosse Club is excited for the chance to participate in such a great event and we encourage those in the lacrosse community to come out and play! “There is no greater calling than to serve your fellow man.” Contact us if you want to join our squad for the season or for the next Shootout for Soldiers.